Today I am going to review a site as well as its products . There are few reward programme too , through which customers can be benefitted. They also give some free samples of their products . There is an offer where one can get free samples , one only needs to pay the shipping charges , How Good is that . Upon placing the order one receives the product with in 10 days . 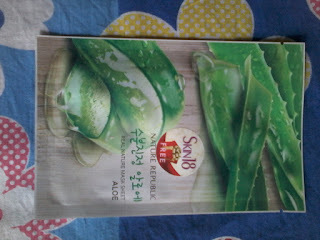 I also got some products from this site , some sheet masks . 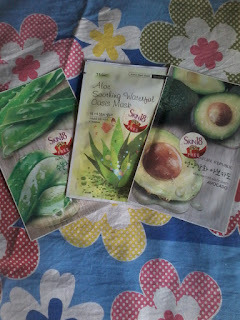 I have used some sheet masks , they are really very good and easy to use . The one I tried today is Aloe Sheet mask. Water , Grape Fruit extract , Castor oil , Aloe extract ,Glycerine etc . Each sheet mask comes in plastic sheet so individual sheets can be taken out and used .No need to open all at a time.One can also carry it in bag or purse so the packaging is travel friendly . One needs to wash the face with water and then apply this sheet mask on face avoiding eye area and then keep it for some 15-20 minutes and pat for better absorption.After removing the sheet one needs to rub the serum in circular motion for some time for better absorption. I really liked the product as its very easy to use and one really feels fresh after using it. 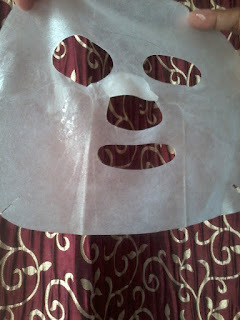 One can apply it on skin and do their work or simply take rest for some time . Better then applying face packs which needs proper cleansing . It moisturises the skin and makes it soft as it is rich in serum .